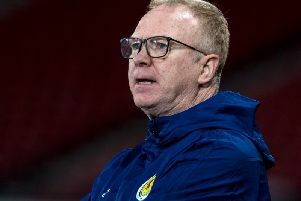 Former Scotland defender Willie Miller insists Gordon Strachan should concentrate on trying to extract the best from his squad as a whole, instead of yearning for a superstar who could help end the country’s long wait to reach a major finals. However, Miller, who represented Scotland at the 1982 and 1986 World Cup finals, believes his former Aberdeen and national team colleague needs to focus all his energy on what he has got at his disposal. Asked if Scotland, who finished fourth in their Euro 2016 qualifying section, can progress from a World Cup qualifying group which includes England, Slovakia, Slovenia, Lithuania and Malta to reach Russia, Miller said: “I think it’s a tough group. “Are we going to top that group? The likelihood is no. Are we good enough to finish second? We’ve got a chance. But we’re going to have to put the best team together and they’ll have to play at their best. “They’re going to have to play the way they did in the first half of the Euro qualifying campaign.